Heeft u een vraag voor Baan Kata Maytha? Gunstig gelegen in Phuket, is Baan Kata Maytha een goede uitvalsbasis om deze levendige stad te ontdekken. Met haar locatie op 18 km afstand van het stadscentrum en 47.5 km van het vliegveld, trekt deze 2-sterren accommodatie jaarlijks vele reizigers aan. 'Sightseeing' opties en lokale attracties hoeft men niet ver te zoeken, aangezien de accommodatie in de buurt van Dino Park Mini Golf, M.G.Collection, Herdenking van Prinses Moeder Stadion ligt. De faciliteiten en diensten die door Baan Kata Maytha worden geboden, garanderen een plezierig verblijf voor gasten. Voor het comfort en gemak van haar gasten biedt de accommodatie gratis wi-fi in alle kamers, dagelijkse schoonmaak, taxi service, snel in- en uitchecken, bagageopslag. De ambiance van Baan Kata Maytha weerspiegelt zich in de inrichting van iedere gastenkamer. plasma tv, kledingkast, draadloos internet (gratis), airconditioning, bureau zijn slechts enkele van de voorzieningen die u ter beschikking staan. Of u nu van fitness houdt, of gewoon lekker wilt ontspannen na een drukke dag, het kan allemaal dankzij recreatieve voorzieningen zoals fitnesscentrum. Wat de reden van uw bezoek aan Phuket ook is, Baan Kata Maytha is de perfecte keuze voor een enerverende vakantie. I traveled in June when Phuket was very quiet because it's the low season for tourism. Thus the hotel was quiet as well. 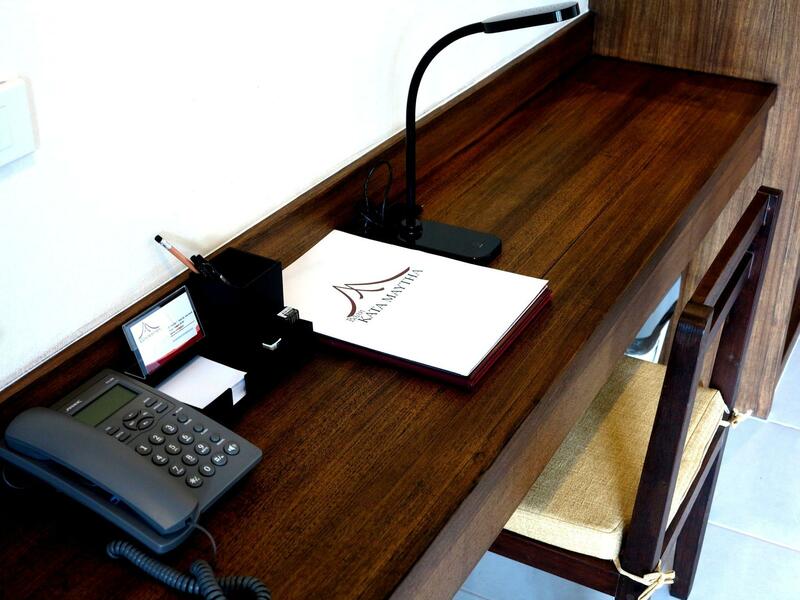 The business center has two modern computers with a fast internet connection, sofas, books, and even an ironing board. There's also a fitness room. 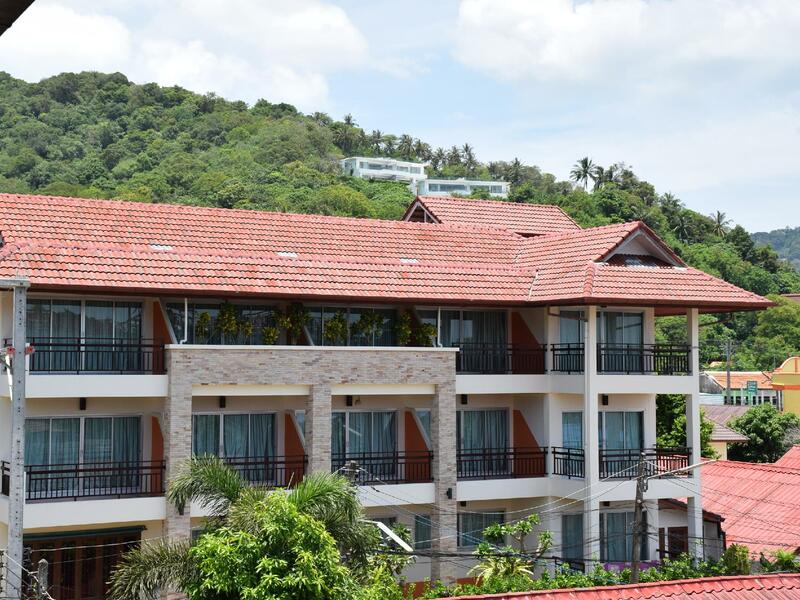 The hotel is a 10 minute walk to Kata beach and 15 minutes to Karon beach. 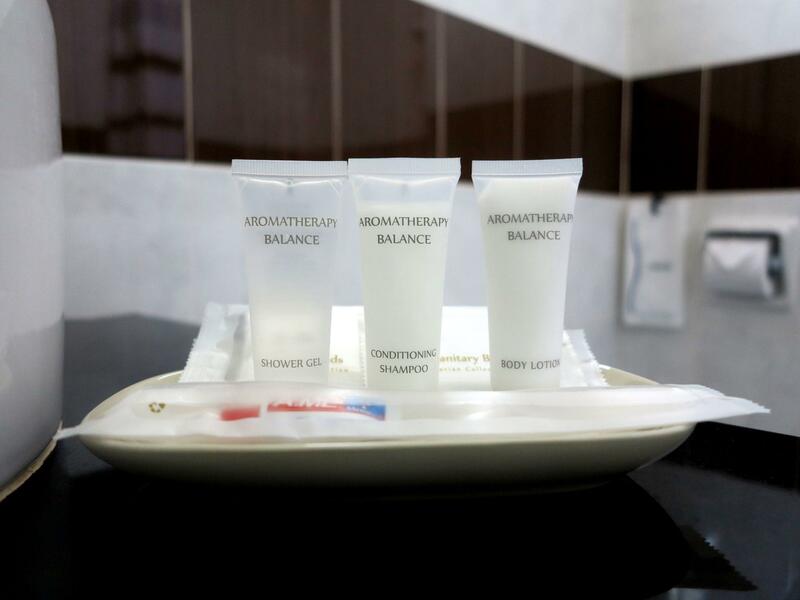 There are many restaurants, shops, 24 hour convenience stores, spas, and pharmacies near the hotel. Not the biggest rooms I've ever seen, but furniture is in good condition. Staff is super helpful, some even speak decent English (although they should learn Russian, just by the number of Russian guests :P ). Gym is okay for basic use. Free shuttle to the beach is great, also the free mats and towels. Renting a motorbike costs 250TBH,which is 50 above average price... Ask for a room in building B if possible. Enjoyed my stay, the value for money is excellent, rooms are clean and come with a sizeable fridge, and the staff are very helpful. Unfortunately the internet is inconsistent at best and while the hotel does provide taxis to the beach every 2 hours, the location could be a little better. Overall, though, definitely worth considering. It was my second time in this hotel for 3 years. 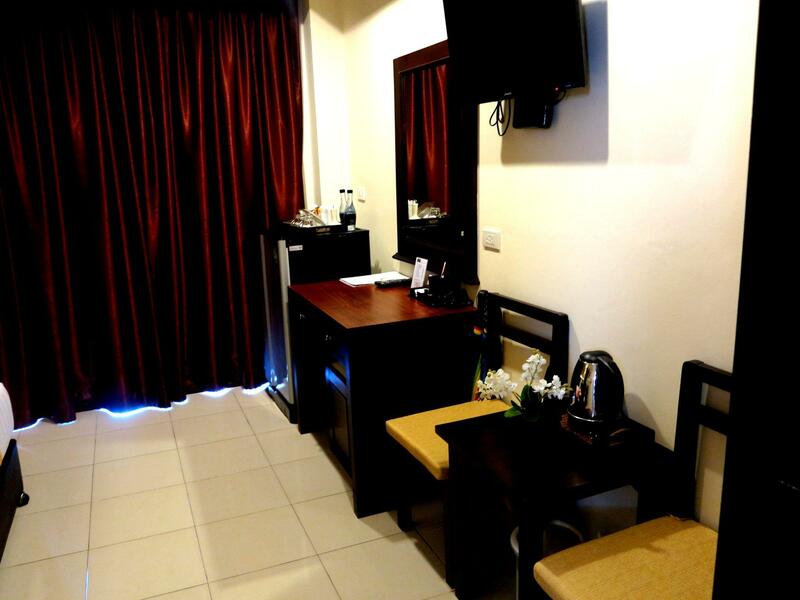 Amazing staff, clean room, new LCD TV, fridge, nice balcony, new and always free gym. Just few meters from the hotel at the small restaraunt you can rent a bike for 150 baht per day. The hotel is 15 minutes walking from the beach, but it doesnt matter if you rent a bike (3 minutes to the beach). Highly recommend, will definetely stay next time. The hotel is in a quiet soi off a busy road in Kata. There's no pool and the ocean/beach is about a 15 minute walk away. Internet was slow but other than than that, good room with all you need, they have a small gym at the 3rd floor. Being elderly and on the top floor we found difficult without a lift.We enjoyed the swimming pool.Staff always smiling.Very recomendable. Stayed here a few times already, this time in the budget rooms. Basic but had all I really need. Internet was very slow though, just like the more expensive rooms. 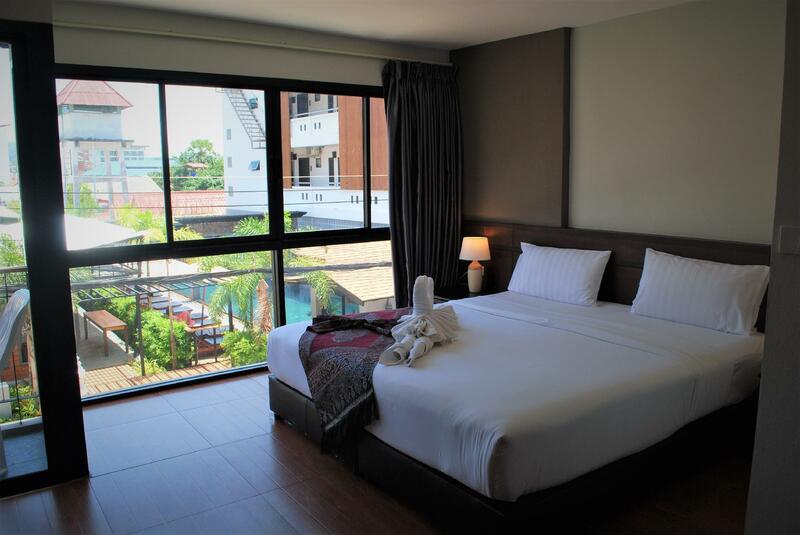 Everything is perfect ,new hotel , very clean rooms , nice view from the balcony, very nice staff, very quiet. About the location , it is a little bit far from the beach ,15 min walking. Overall the hotel is nice however I had accidentally booked the room for the wrong night, 1 night later than expected. I kindly asked the staff if they could just push the room forward and she was very rude saying that she couldn't do that and that I had to pay for the night I wasn't staying. How hard is it to just cancel a booking for one night and change to the next night. So I lost $30 because of the lady's lack of kindness and understanding. Would not stay here again. Baan Kata Maytha was a nice place to stay. 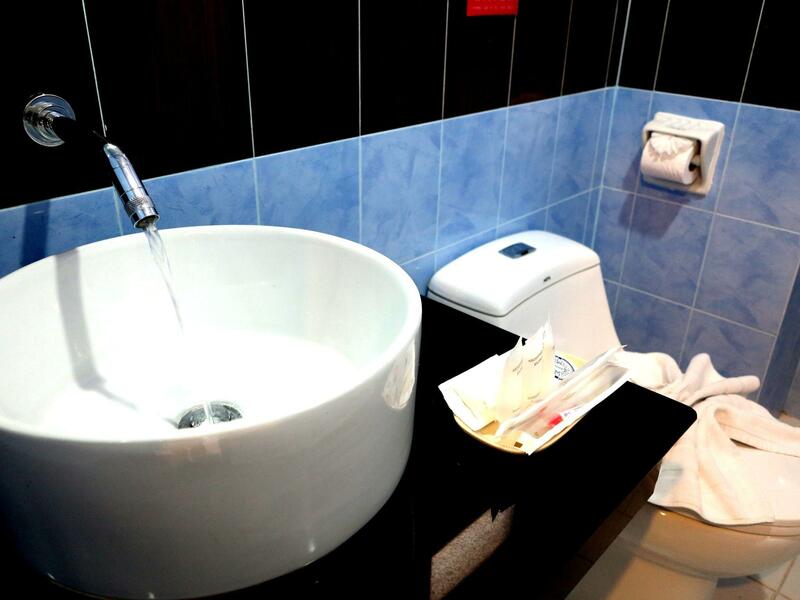 The hotel is brand new and the rooms are large and clean. The swiming pool was very nice. The breakfast was quite basic, but for a week it was ok. The 10 minute walk to beach was good exercise. Cleaned everyday. Great balcony. More expensive than others so far on our budget travel but worth the treat of such a nice place.